I forget what makes this wordpress AMI the best, but I've tried a few others and ran into some obstacles. This one works well out the box and i've been running this over a year now. No T3 support yet, but this one works! This is my go to AMI for testing and launching simple sites. I create a lot of Wordpress sites for work and when you just need to test a migration, create a quick site that you can later migrate, etc. 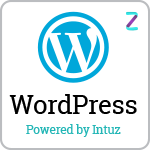 This is a great WordPress AMI which has everything installed to run your website. It was just one-click setup. Thanks for this amazing AMI. I would recommend all to use this AMI. Great! Having installed WordPress before on a different server (non-AWS), I wasn't exactly looking forward to going through all the hassle of setting it up with its dependencies like SQL. All I had to do was get my user password which is well-documented on how to do.